The following item has been issued by the City of Minneapolis. 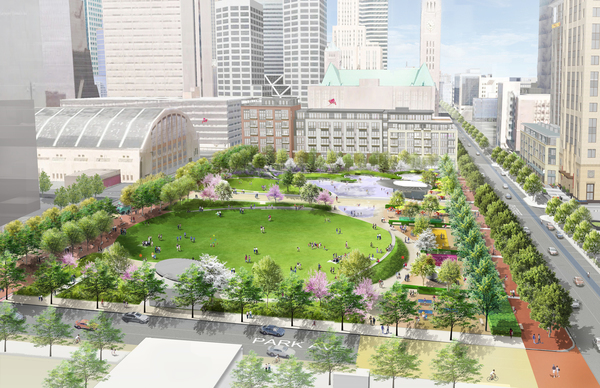 Please join Minneapolis Mayor Betsy Hodges, Council Member Jacob Frey, the Hargreaves Design Team, and City of Minneapolis staff for an update on the Downtown East Commons. Review project details prior to the public meeting by visiting the Downtown East Commons website and clicking on the new What’s been happening? tab. Or visit the Gallery to review the concept design images, photos of previous meetings, and each of the presentation decks. This entry was posted in Downtown East Park on October 12, 2015 by citoyen1789.